Election Tracker LIVE Updates: The BJP has decided to replace all 10 sitting MPs from Chhattisgarh. Names of new candidates will be announced soon, according to party leader Anil Jain. Chhattisgarh was one of the three states where it had turned victorious in the 2018 Assembly elections. On Sunday, the Congress had announced the candidates for its candidates for five out of the 11 Lok Sabha seats in Chhattisgarh, giving a chance to three of its sitting MLAs. 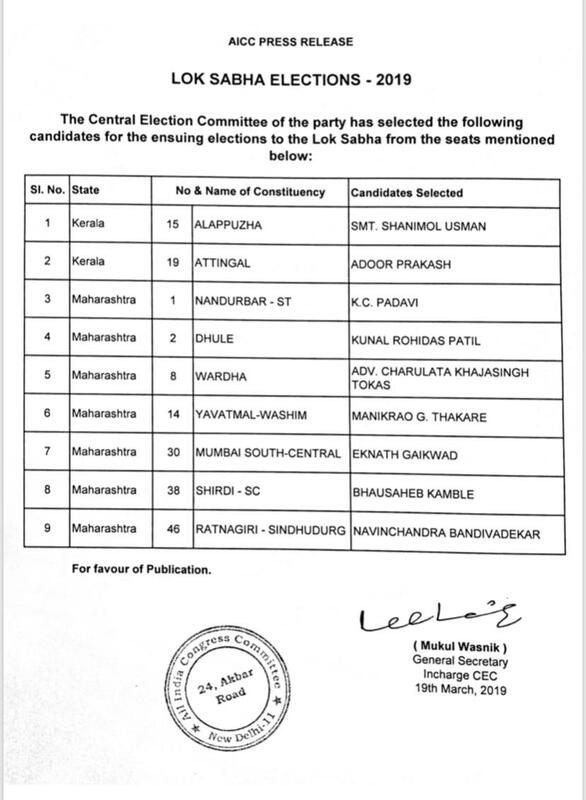 Congress has released the sixth list of candidates for Maharashtra and Kerala for the upcoming Lok Sabha elections. Social media intermediaries and the internet and mobile association Tuesday told the Election Commission that they would come up with a draft 'code of ethics' for the industry in the next 24 hours as part of a mechanism to prevent abuse of social media platforms during the Lok Sabha elections beginning April 11 Representatives of Internet and Mobile Association of India (IAMAI) and social media platforms such as Facebook, Twitter and TikTok, were called by the poll panel to discuss the issue of evolving mechanism to prevent abuse on social media platforms. The EC also wanted to ensure that elections are insulated from outside influence. Gujarat BJP Finalises List of Candidates | Gujarat BJP's Parliamentary Board has finalised the panel of names of candidates for Lok Sabha seats in the state which will soon be sent to the central leadership for approval. The names will be sent to the BJP's central Parliamentary Board for final selection of candidates, a party leader said. Gujarat will vote in a single phase on April 23.
br /> BJP Drops All 10 MPs in Chhattisgarh | The BJP has decided to drop all its 10 sitting MPs from Chhattisgarh, a decision that comes in the wake of the party's drubbing in recent Assembly elections. BJP General Secretary Anil Jain, who is also in charge of the state, said the party has decided to face the Lok Sabha elections with "new candidates and fresh energy" to make it victorious under the leadership of Prime Minister Narendra Modi. Election Commission today met the representatives of various social media platforms and Internet and Mobile Association of India (IAMAI) on the usage of Social Media ahead of the Lok Sabha Elections 2019. The meeting was centered on discussing issues like appointment of dedicated grievance channel for expeditious action by the organizations, pre- certification and transparency in expenditure of political advertisements. The meeting also focused on evolving a notification mechanism by social media platforms for acting upon the violations. PM Modi to Arrive Shortly for CEC Meeting | The Central Election Committee of the BJP is holding a meeting at the party headquarter in New Delhi, where PM Modi is expected to arrive shortly. The meeting was earlier scheduled to be held on Monday, but was postponed after Manohar Parrikar's death. Meanwhile, a BJP leader in Uttar Pradesh has announced severing ties with his son after he was fielded by the Congress as a Lok Sabha candidate and alleged the opposition party exploited "political differences" within his family. 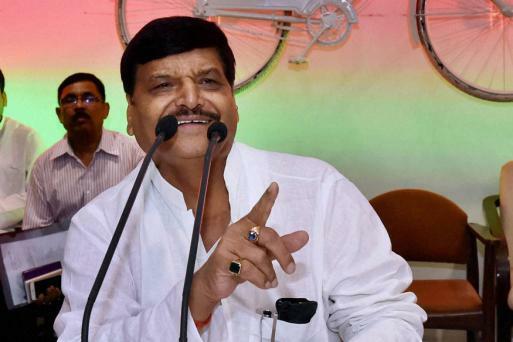 The Congress on Saturday announced Arvind Kumar Singh, son of BJP MLC Jaivir Singh, as its candidate from the Gautam Buddh Nagar constituency, which is currently represented by BJP leader and Union minister Mahesh Sharma. 27 New Faces in Congress's Odisha List | The opposition Congress, which was routed in Odisha in the 2014 Lok Sabha polls and put up a poor performance in the simultaneous assembly elections, has fielded 27 new faces so far. The first list of 42 candidates for Odisha was released by the AICC on Monday night - 36 for the Assembly and six for Lok Sabha seats. As per the list there are new candidates for four Lok Sabha and 23 Assembly seats in the state. The four new candidates for the parliamentary seats are Pradeep Kumar Devta (Bargarh), George Tirkey (Sundergarh), Manoj Kumar Acharya (Kandhamal) and V Chandrasekhar Naidu​(Berhampur). MPCC Trying to Get Salman Khan to Campaign in Indore | The Madhya Pradesh Congress is trying to get Bollywood star Salman Khan to campaign for it in Madhya Pradesh's commercial capital Indore, a party leader said. The actor was born in Indore's Palasia area in 1965 and spent a part of his childhood in that city before moving to Mumbai. "Our leaders have already talked to Salman Khan to campaign for us in Indore. 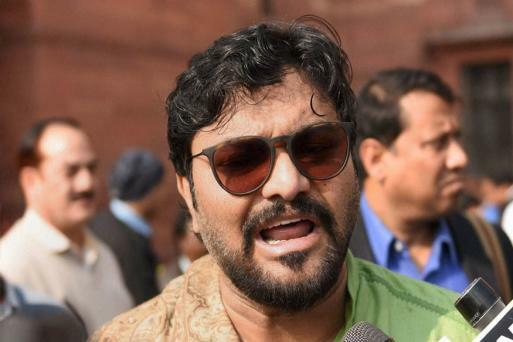 We are almost certain the actor will campaign for us," the state's Congress spokesperson Pankaj Chaturvedi said. Only Had to Mend it, Says Akhilesh Yadav on Tie-up With BSP | SP chief Akhilesh Yadav has said his father and party patriarch Mulayam Singh Yadav had forged the relationship with the Bahujan Samaj Party (BSP) and he only had to "mend" it. He also said it was not time yet for Mulayam Yadav to become the prime minister. "Netaji (Mulayam) had relations with the BSP and had forged an alliance earlier. I only had to mend the relationship," Akhilesh Yadav said, replying to questions during a TV programme. CPI(M) Releases List of Candidates in West Bengal | CPI(M) has announced candidates for 38 Lok Sabha seats in West Bengal. Left Front chairman says there is still chance for dialogue with Congress on alliance. Left Front chairman Biman Bose said they will wait till Wednesday evening for the Congress's response. "We announced a list of 38 candidates. We are not announcing the names of four seats which the Congress had won last time (2014). We will wait till Wednesday evening for a response from the Congress. 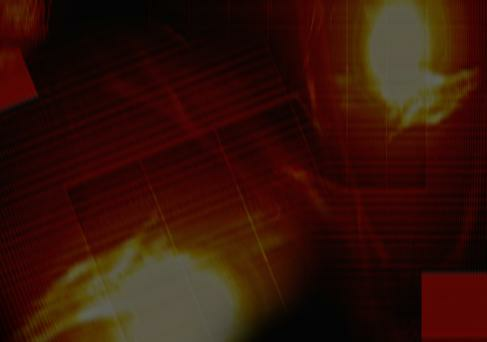 If there is no response, we will go ahead with the remaining four seats," Bose told reporters here. Akshay Yadav is the sitting MP from the Firozabad seat, which has been won five times by the SP since 1999. Sheila Dikshit Calls Urgent meeting With Working Presidents | Delhi Congress Chief Sheila Dikshit has called an urgent meeting with the three working presidents of Delhi Pradesh Congress Committee amid a buzz that the party's top leadership is mulling options to align with the Aam Aadmi Party in Delhi. The party leaders of the Delhi unit, however, maintained that there was no talk of an alliance during the meeting. "An urgent meeting was called and it was decided that the selection of candidates should begin. Around 70 applications have been received by the party from Delhi Congress leaders for seven seats in Delhi," a senior party leader said. SP-BSP Announce Alliance for 48 Maharashtra Seats | The Samajwadi Party and Bahujan Samaj Party Tuesday announced they would contest all 48 Lok Sabha seats in Maharashtra in alliance. Announcing the alliance, SP MLA Abu Asim Azmi said the two parties together represent about "85-90 per cent" of the society and provided a third front for people let down by the BJP and Congress. "Secularism is about to end in the country. Those who call themselves chowkidars can go to any length, and peddle lies, to cling on to power," he alleged. Congress Fields State Unit Chief to Boost Prospects in Polls | Seeking to put up a keen fight in the Lok Sabha polls in Telangana after a disastrous show in the Assembly elections in December last year, Congress has fielded its state unit chief N Uttam Kumar Reddy to boost the morale of its cadres and prospects. Reddy, sitting MLA from Huzurnagar, would be the party candidate from Nalgonda, according to the second list of candidates announced by Congress late on Monday night. Though he was initially said to be reluctant to contest, his candidature is, however, expected to boost the morale of partymen. The manifestos were burnt by the AAP to attack BJP on the issue of full statehood to Delhi. "The AAP leaders are violating MCC by either not seeking permission for such events from Election Commission or they have sought permission for election meetings from EC and misused such permission to violate MCC by burning BJP's manifesto," the letter said. The letter, written by SN Verma, co-convener of the legal department of BJP Delhi Pradesh, said orders should be issued to leaders and workers of AAP to "cease and desist from such violent acts". Five complaints have been made against the BJP and the AAP for organising gatherings to burn manifestos without permission, officials from the Chief Electoral Office of Delhi had said on Monday. On March 13, BJP workers led by Union minister Vijay Goel burnt the manifesto of AAP and a symbolic tower of its "failed" promises while accusing the ruling party of "cheating" the people of Delhi. Delhi BJP Accuses AAP for 'Indulging in Violent Acts' | The BJP's Delhi unit has filed a complaint with the Chief Electoral Office in Delhi and sought action against the Aam Aadmi Party, which it alleged was "indulging in violent acts" and violating the model code of conduct. In its complaint, the BJP accused the AAP of burning the 2014 manifesto of the saffron party which had photos of BJP leaders. They alleged that Delhi Chief Minister Arvind Kejriwal along with other party leaders had burnt BJP manifesto on March 13. Other party leaders Manish Sisodia, Rajendra Pal Gautam, Kailash Gahlot and Pankaj Gupta were among those who led had party workers in burning copies of the party's manifesto, the BJP alleged. Telangana Congress Appoints In-charges for 17 Seats | The Congress in Telangana has appointed senior leaders as in-charges for the 17 Lok Sabha constituencies in the state. Congress Legislature Party (CLP) leader M Bhatti Vikramarka would be in-charge for Khammam Lok Sabha seat, while MLA D Sridhar Babu would be in-charge for Peddapalli, Congress sources said. Meanwhile, the disciplinary action committee of state Congress has expelled six leaders, including former MLA Arepalli Mohan, M Krishank (official spokesperson) and P Karthik Reddy (who contested as Chevella Lok Sabha candidate in 2014) for alleged anti-party activities. Delhi BJP to Raise Issue of Non-declaration of Assets and Liabilities by AAP MLAs with Lokpal | The Delhi BJP Monday said it will raise the issue of non-declaration of assets and liabilities by AAP MLAs as demanded by the state Lokayukta with the soon-to-be constituted Lokpal. Leader of Opposition in Delhi Assembly Vijender Gupta said they will seek Lokpal's intervention in issues such as alleged involvement of Delhi minister Satyendar Jain in a Hawala case, water tanker scam, premium bus service scam, home delivery of ration scam, appointments in government and a host of other issues of corruption and irregularities. Earlier, the Congress was mulling options to align with the Aam Aadmi Party in the national capital in its bid to defeat the BJP in Lok Sabha elections. Sources said the Congress leadership was in talks with AAP leaders and senior leaders within the party were trying to convince Delhi Congress leaders for an alliance with the Arvind Kejriwal-led AAP. No Alliance Between Congress, AAP | The Congress and the Aam Aadmi Party confirmed on Tuesday that there will be no alliance between the parties in Delhi even as defeating the BJP remains the primary motive of both the parties. The AAP with contest from all seven seats in Delhi in the upcoming Lok Sabha elections. Former Prime Minister and JDS chief HD Devegowda in Bengaluru said, "Modi mocks the idea of mahagatbandhan but they themselves are running coalition governments in many states. We will answer BJP by winning this election." Kishor, who is also the national vice-president of Bihar Chief Minister Nitish Kumars JD(U), was reacting to a news report wherein Naidu had also blamed him for deletion of lakhs of voters in Andhra Pradesh besides giving "criminal advice" to his main rival the YSR Congress. Kishor is earlier known to have worked closely with many political figures cutting across ideological affiliations. Prashant Kishor Lashes Out at Chandrababu Naidu for 'Bihari Dacoit' Barb | Poll strategist-turned-politician Prashant Kishor Tuesday lashed out at Andhra Pradesh Chief Minister Chandrababu Naidu for reportedly calling him a "Bihari dacoit". He charged the TDP chief with having displayed "prejudice and malice" against the eastern state fearing an "imminent defeat" at the hustings. Rahul Vows to Restore Special Category Status to Arunachal, Other Northeast States | Congress chief Rahul Gandhi said on Tuesday his party will restore the special category status to Arunachal Pradesh and other states in the northeast if elected to power. There are some states in the country which require special status because of their "unique problems and difficulties" such as connectivity, terrain, infrastructure, Gandhi said at an election rally in Itanagar. During the Congress rule at the Centre, he said, Arunachal Pradesh and other NE states used to enjoy special category status. The names of candidates for Surguja, Bastar, Raigarh and Kanker seats, reserved for the Scheduled Tribes (STs) and Janjgir-Champa, which is allocated to a Scheduled Caste (SCs) candidate, were declared late on March 17 night. The Election Commission held a meeting with the representatives of various social media platforms like Facebook, Twitter, Whatsapp, Google, etc amid growing concern over fake news. The usefulness of social media during elections was also discussed. Issues like grievance redressal, pre- certification and transparency in expenditure of political advertisements were also discussed at the meeting. Meanwhile, the Central Election Committee of the BJP is holding a meeting at the party headquarters in New Delhi, where PM Modi has arrived. The meeting was earlier scheduled to be held on Monday, but was postponed after Manohar Parrikar's death. Meanwhile, Delhi Congress Chief Sheila Dikshit had called an urgent meeting with the three working presidents of Delhi Pradesh Congress Committee amid a buzz that the party's top leadership is mulling options to align with the Aam Aadmi Party in Delhi. "An urgent meeting was called and it was decided that the selection of candidates should begin. Around 70 applications have been received by the party from Delhi Congress leaders for seven seats in Delhi," a senior party leader said. Earlier, the Aam Aadmi Party had decided to go solo in Delhi, without joining hands with the Congress. Arvind Kejriwal's party has declared candidates for all seven seats in the state capital. Hours after UP CM Yogi Adityanath blamed SP and BSP for Kairana and Shamli riots, former chief minister Akhilesh Yadav took a jibe at the BJP government, saying that "when rioters themselves occupy seat of power, how will riots happen?". Bringing back the focus on Hindu exodus, CM Yogi said that several people of the majority community had to flee Kairana and Shamli during SP-BSP rule. "In 24 months of our rule, we have brought the confidence back and people have returned to their homes. This has been one of the biggest achievements of the government," he said. Congress's east UP in-charge Priyanka Gandhi Vadra said that 'What did they do in 70 years?' argument also has an expiry date. "BJP should now tell what have they done in five years," she said in Bhadohi. Dravida Munnetra Kazhagam (DMK) has promised to make efforts for release of all seven convicts in the Rajiv Gandhi assassination case. The assurance was made in DMK's manifesto released by party chief MK Stalin. They also assured to give citizenship to Sri Lankan refugees. Seven legislators of Telangana Congress defected to Telangana Rashtra Samithi (TRS), while three more are in touch with Chandrashekar Rao's party. Miffed with switch overs ahead of polls, the local unit of the grand old party has demanded President's rule in the state. The Telugu Desam Party (TDP) on Tuesday released its first list of party candidates for the Lok Sabha elections. The list of 25 candidates include former Union Minister P Ashok Gajapathi Raju and Guntur MP Jayadev Galla, who had moved the no-confidence motion against the Narendra Modi government. The Congress on Monday night released its fifth list of 56 candidates for the Lok Sabha elections, including 22 from Andhra Pradesh and 11 from West Bengal. The list also included eight candidates from Telangana, six from Odisha and five from Assam, besides three remaining seats from Uttar Pradesh. On Saturday, the Congress had called off alliance talks with the Left parties. On the other hand, the Congress in Telangana has appointed senior leaders as in-charges for the 17 Lok Sabha constituencies in the state. The disciplinary action committee of state Congress has also expelled six leaders, including former MLA Arepalli Mohan, M Krishank (official spokesperson) and P Karthik Reddy (who contested as Chevella Lok Sabha candidate in 2014) for alleged anti-party activities. On Monday, the Indigenous Nationalist Party of Twipra (INPT), a regional tribal party of Tripura, had announced candidates for both the Lok Sabha seats in the state. The INPT decided to declare its candidates after its talks for seat sharing with the opposition Congress failed, party president Bijoy Kumar Hrangkhawl said. Hrangkhawl, an insurgent turned politician, said INPT leaders met Congress president Rahul Gandhi recently in New Delhi and signed a memorandum of understanding for joint fight against the BJP. In Delhi, the AAP made it clear that there would neither be any alliance with the Congress nor would it withdraw any of its nominees for the Lok Sabha polls in Delhi, a day after declaring its candidate for the seventh seat. Asserting that "enough is enough", senior AAP leader Gopal Rai said these are the final seven candidates of the party and there is no question of "any roll back". The ruling Aam Aadmi Party had on March 2 announced the names of its candidates for the six Lok Sabha seats. In the western state of Gujarat, the Gujarat Congress alleged the BJP has violated the model code of conduct by holding a meeting of the party's State Parliamentary Board at Chief Minister Vijay Rupani's official residence, prompting the poll panel to order a probe. The main opposition party lodged a complaint in this regard with the Election Commission (EC). However, the BJP rejected the Congress's charge. On receiving the complaint, sent by the Congress through fax, Gujarat Chief Electoral Officer (CEO) S Murali Krishna ordered an inquiry into the matter. "We have received the complaint. We will conduct an inquiry into the issue," Krishna told PTI. In its complaint, the Congress alleged the CM's official residence in Gandhinagar is a government property and no political activity is permitted from a government premises when the model code of conduct is in force.